Since 1970 the transplantation of organs has been increasing in volume in the United States. But as the number of kidney, heart, pancreas and liver transplants have increased so have the incidences of associated medical errors. At this point, there is no official organization or governmental body to effectively monitor kidney, liver and heart transplants in a safe and healthy way. Organ transplants save lives, but in the event of substandard organs or diseased organs, the opportunity to survive organ transplantation is diminished or taken away. Infection is a common medical error associated with organ transplant. Consider the case of a Chicago man who was infected with HIV and Hepatitis C after an organ transplant. Or the case of a 15-year-old, Illinois boy who was infected with bacterial meningitis after receiving a kidney transplant. Because this boy’s new kidney came from his parent, the bacteria could have only been transmitted by the medical team involved with the organ. In both cases the transplant would have been successful if the medical practitioners had exercised more care when handling the organ. In yet another reported Illinois case, a Chicago man died after receiving a new heart that was so badly diseased that this man had little or no chance to survive. Doctors later admitted that he would have been better off if they left his original heart in place and had not started the complex and risky surgeries involved in the transplant. Again, this is a case of poor monitoring by the medical staff. There is no excuse for such blatant inattention to detail when lives are on the line. Transplant recipients should be able to receive healthy organs and without worrying about substandard and diseased organs. In many cases the recipient is desperate for the organ transplantation, without which they face the reality of death in their very near future. For them organ transplantation should be a positive solution, not a negative outcome based on medical error. Early in 2015 a Minnesota transplant malpractice case was reinstated by the state’s court appeals. The lawsuit involving a woman who received a transplanted pancreas riddled with cancer cells had been dismissed. 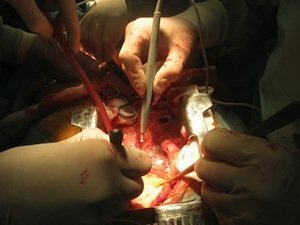 It was alleged that the transplant physician breached the standard of care by accepting the donated organ without thoroughly screening the donor’s health records. There were many questions about the health of the donor. The recipient of the donated organs needed both a kidney and pancreas because of the advanced diabetes that she suffered from. Five months after receiving the transplants the woman, age 36, died of severe sepsis related to T-cell lymphoma 5. She was survived by her husband, her 3-year-old son and large extended family. In 2006 this woman was diagnosed with renal disease and thus the need for the kidney transplant which was donated by her sister in 2006. She was on the waiting list for a pancreas transplant in March 2007, but just 3 weeks later the pancreas here became available. In the lawsuit that followed her death, it was alleged that the donor had not treatable meningitis, but a rare cancer that was determined by an autopsy after the donor’s death. Robert Kreisman has served on the faculty of many law seminars in Chicago and the United States that teach trial lawyers how to successfully handle organ transplantation medical malpractice cases. With over 40 years of trial experience in organ transplantation medical malpractice Kreisman Law Offices can help you obtain the justice you deserve. If you or a loved one has been affected by medical malpractice organ transplantation, you might have a medical claim. Please call us 24 hours a day at 312.346.0045 or toll free 800.583.8002 for a free and immediate consultation, or fill out a contact form online.